Plan of Historic Center of Zhujiajiao. Surrounding the historic village are new patterns of development that ignore the agricultural water systems of the larger, regional landscape. Transforming the Historic Patterns. The upper diagrams illustrate the historic systems and configurations and the lower diagrams illustrate their transformation to meet modern requirements. Aerial View of a Contemporary Urban Field. Until the middle of the twentieth century, Chinese urban life revolved around courtyards. Whether for housing or retail, administration or religion, everyday activities took place in a field of pavilions and walls that shaped collective ways of living. 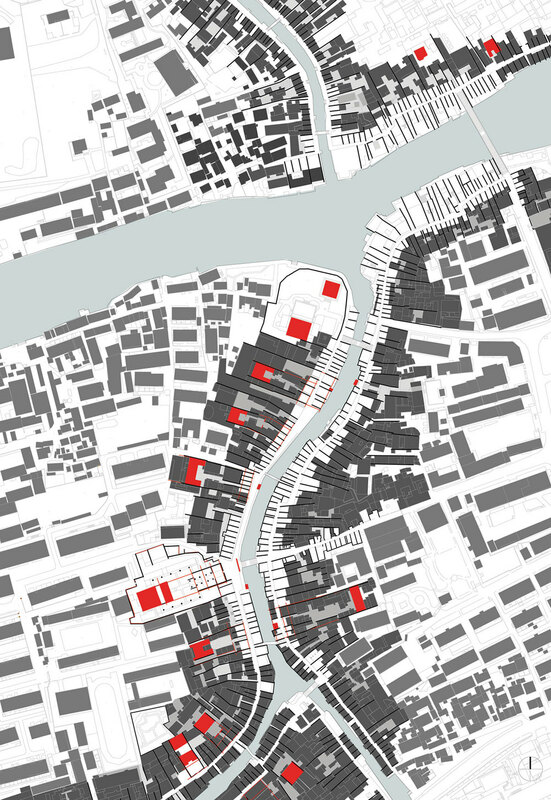 While the courtyard compound is typically described as a bounded rectangle apart from its context, Changing Chinese Cities explores the reciprocal relations between compounds and how they inform a distinct and legible urbanism. Following thirty years of economic and political containment, cities are now showcases of China’s rapid leap to international prominence whose every component -- street, park, or building -- is designed to express its distinctiveness. This propensity for the singular is erasing the relational fields that once distinguished each city. In China’s first tier cities, the result is a cacophony of events where the extraordinary is becoming a burden to the ordinary -- experiences at the street level are disconnected, illegible and disorienting. As this erasure is touted as progress, second and third tier cities emulate this figuring, producing a dulling uniformity within and between Chinese cities. China now sits at a crossroad: it is a country with the conditions and resources to develop a progressive urbanism based not on imported images but in the uniqueness of every city. Using a lens of urban fields, Renee Y. Chow describes life in neighborhoods of Beijing, Tianjin, and Shanghai and its canal environs. Detailed observations from courtyard to city are unlayered to reveal the relations that build extended environments. 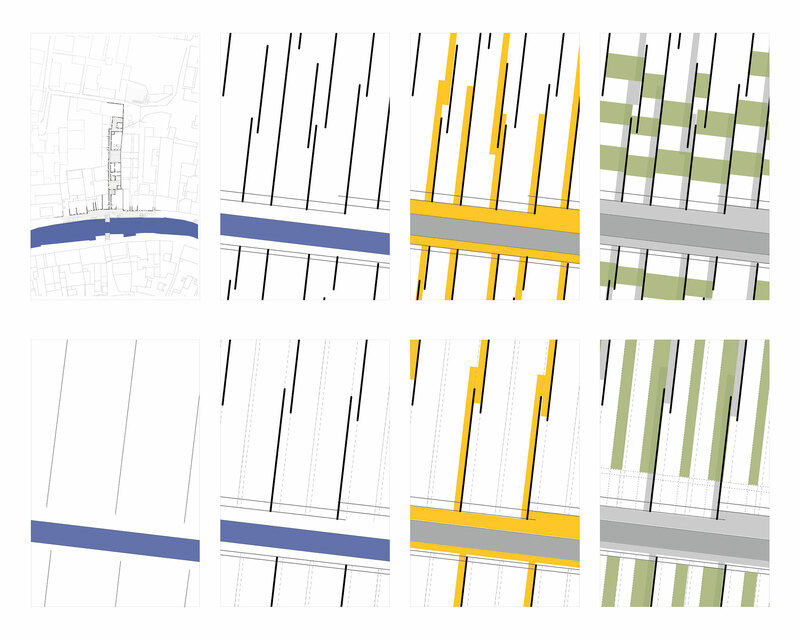 These attributes are then relayered to integrate the emergence of forms that are rooted to a place, providing a new paradigm for urban design and master planning. Essays, mappings and case studies demonstrate how the design of fields can be made as compelling as figures.